While working on a top-secret crafting project (to be revealed in an upcoming post! 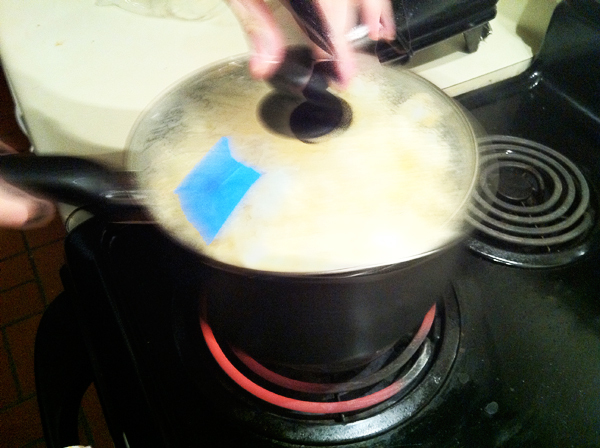 ), my lovely housemates and I decided to make curry popcorn. 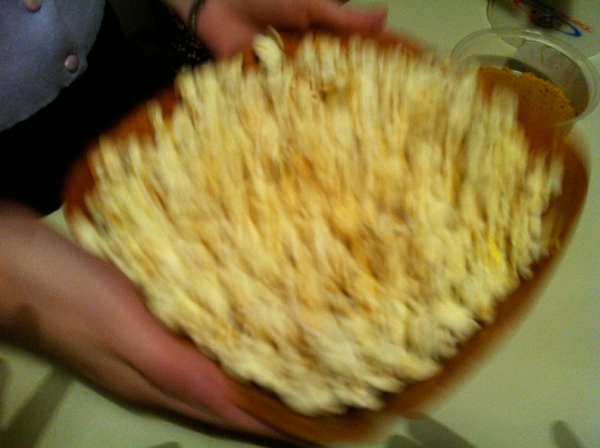 What’s curry popcorn, you say? Why, one of the most delicious treats in the world. 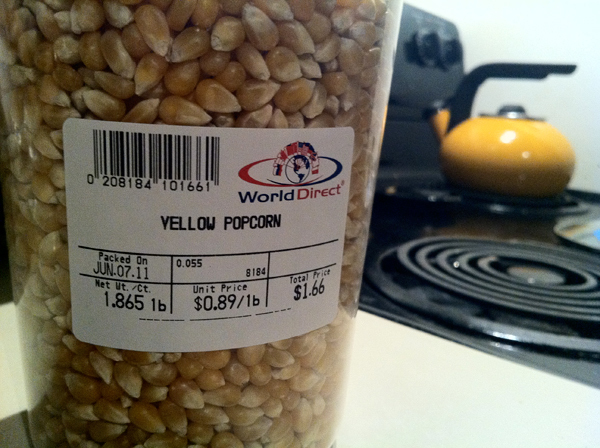 Start out with some regular ol’ yellow corn kernels. Preferably packaged by your local farmers market and sold for 166 pennies. 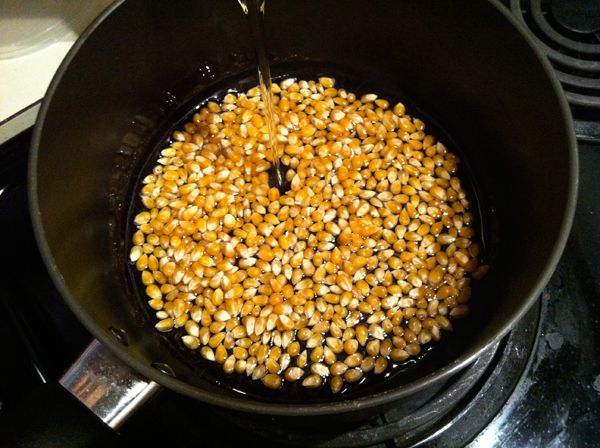 Sprinkle a thin layer of corn kernels on top of the oil. 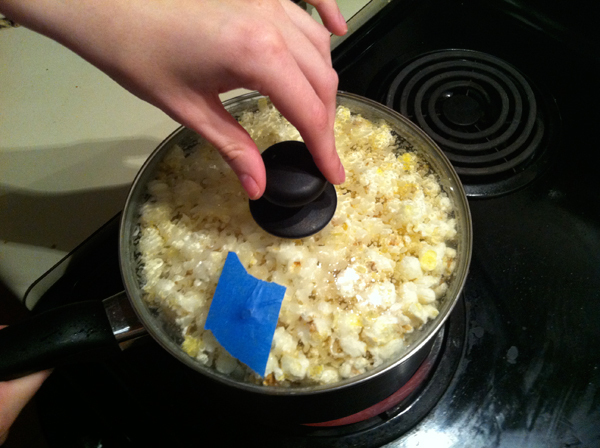 Add enough oil to just cover the kernels. 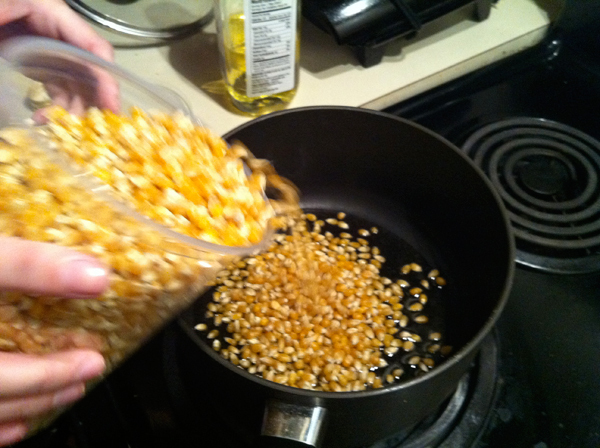 As the kernels continue to pop, shake the pan to move unpopped kernels to the bottom. 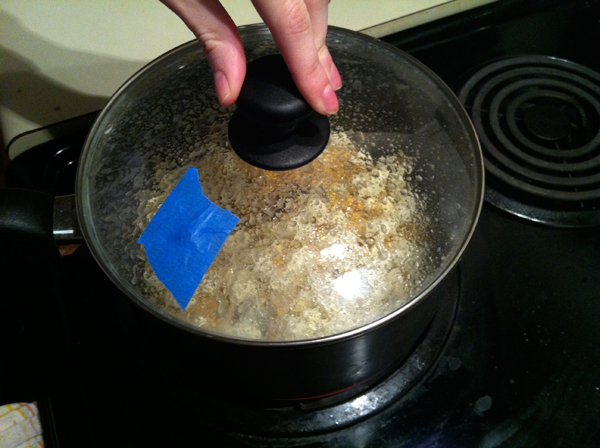 It can burn easily, so lift from heat once most kernels are popped. 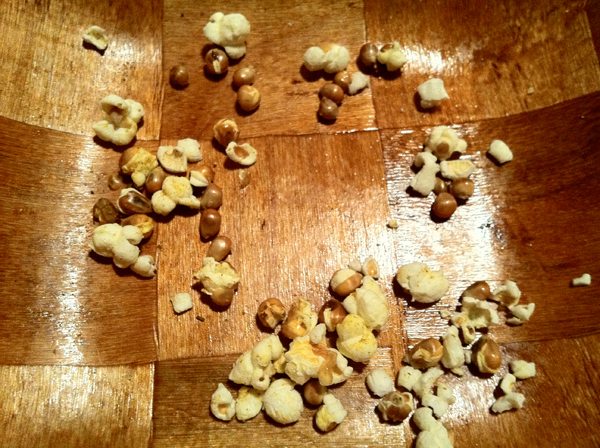 Step away from escaping steam and still-popping kernels and pour into a 70s style decorative bowl. Sprinkle liberal shakes of curry powder and salt. Eat it all. Best accompanied by red wine. Thanks ladies for the wonderful idea and evening! This look so yummy! Plus, its gluten-free and cheap! 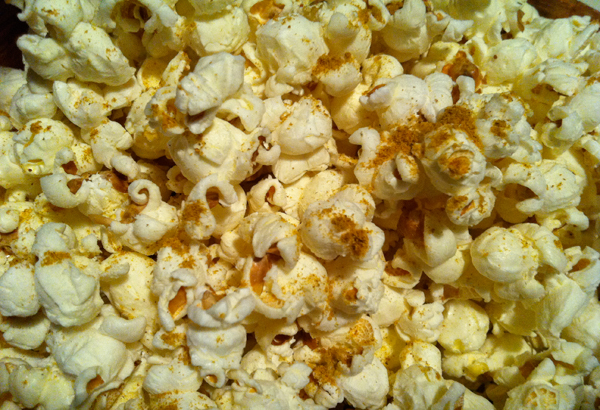 I’ve made candied cinnamon popcorn at home before but I’ll have to try this! sounds so good louisa!! thanks!